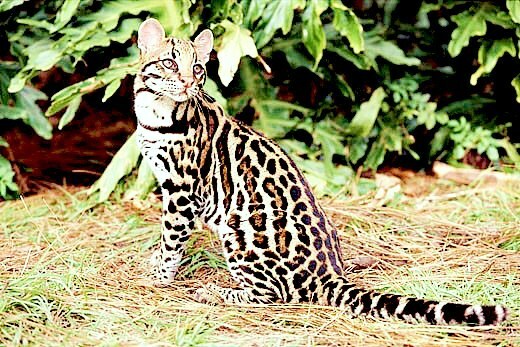 Ocelot, small, spotted cat that lives in scrub and rocky or forested areas of S U.S.A., Central and South America. Its valuable fur is yellowish or rust marked with elongated dark spots. It feeds on small birds, mammals and reptiles. Length: to 1.5m. Family Felidae; species Felis pardalis.